Last year was so reliable in terms of producing idiots, so why should 2011 be any different? It’s off to a rousing start already, as early evidence suggests. In today’s Burlington Free Press, reporter Matt Ryan offers us the inspiring story of Barre, Vermont City Police Officer Zak Winston. Fellow officers say Zak has had a rough start to the New Year. 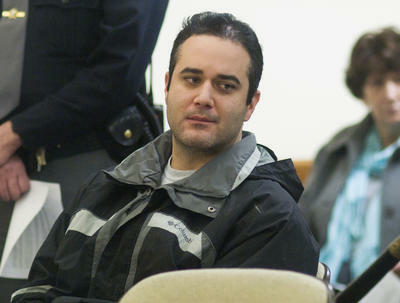 Alleged TV rustler and drowner Zak Winston in court, in this photo by Ryan Mercer of the Burlington Free Press. If allegations against Zak are true, it seems he had a little, OK, a lot too much to drink the other night. 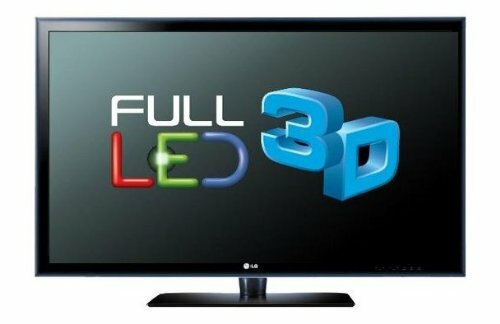 At around 2:30 a.m. Sunday, authorities allege, he went into his neighbor’s house, and stole a brand new 42-inch LED flat screen television that was a gift beneath the neighbor’s Christmas tree. The neighbor, predictably enough, was annoyed and called the police. So, the cops showed up at Zak’s apartment. Zak at first declined to let his fellow police officers into the apartment, but later told them to wait a minute and he’d be right back. While they were waiting, investigating officer Kevin Moulton went behind the apartment building. Moulton said he saw Winston trying to throw the TV off the back balcony into the Winooski River. Officers later heard the splash of the brand new 42-inch LED flat screen television splash down into the not-quite pristine waters of the Winooski River. Check out how Matt Ryan concluded his Burlington Free Press report on the incident. Basically, Zak saw Matt collecting court documents on Zak’s case. So Matt ended up writing about what Zak said to him: “You better not use my name,” Winston said. Too bad Zak! Matt used your name. Thems the breaks. The case does raise questions for me, as it always does. Investigators said Zak was drunk, so logic doesn’t always rule in those situations. Zak is alleged to say he threw the TV into the Winooski River because he didn’t want stolen property in his apartment. Zak Winston, a Barre Vermont cop, is alleged to have drowned a television like this one in the Winooski River. But then, why did he steal the TV then, if he indeed did steal it. And what does he have against his poor neighbor? The TV was still under the Christmas tree, which means she hadn’t used it yet. Which means she didn’t turn up the volume as high as it would go while watching “Jersey Shore” and “Desperate Housewives,” so the neighbor wasn’t irritating Zak with her TV shows. Maybe Zak will make nice and buy the neighbor a new TV, but I question whether he can afford it, even if he gets a good deal with Best Buy. He’s suspended with pay, but if he’s found guilty, I can’t imagine Barre City Police will want to keep our Zak on their force. If they do, maybe people Zak stops for speeding can bribe him with 42 inch LED wide screen televisions to avoid getting a ticket. True, there might be an innocent explanation for Zak’s bad weekend. If so, that will surely come out in court proceedings. I can’t wait to find out more. This entry was posted on January 4, 2011 at 6:27 pm and is filed under Uncategorized. You can follow any responses to this entry through the RSS 2.0 feed. You can leave a response, or trackback from your own site.